Letters to the Editor: A GIANT TRUMP BALLOON IN LONDON! Look, up in the sky! 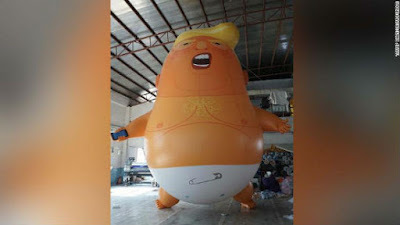 It's a bird, it's a plane, it's a ... giant diapered rendering of the US President!